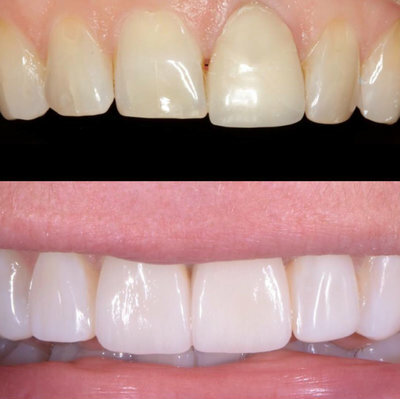 Porcelain veneers can also either be no prep (dependent on suitability) or preparation veneers. This has been the popular choice for many patients as they generally last between 8-15 years and provide the most natural longlasting results. Essentially a veneer is an extremely thin layer of porcelain (think of a bonded fingernail) that is ideally attached to the enamel surface of teeth for ultimate strength.